Pull-Up Desktop Power Strip - Moar Stuff - You don't need it but you know you want it. 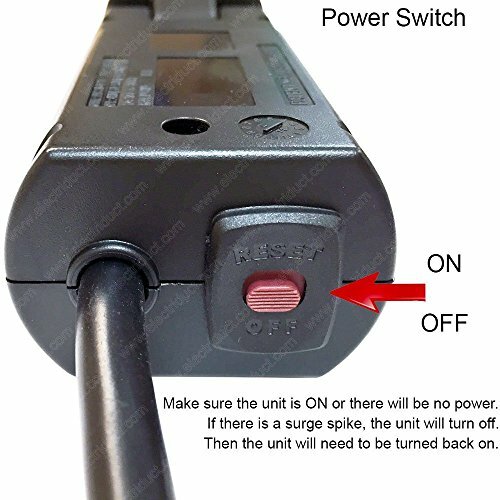 Power Switch is located on the bottom of the unit, if the power switch is OFF there will be no power. Power Switch MUST BE ON for power. If there is a surge spike, the unit may turn off automatically. Then the unit must be reset. In the office, there are lots of cool options for powering your devices like power plugs and USB charging ports built right into desks and meeting room tables. Wouldn’t it be cool to have an option like that at home? 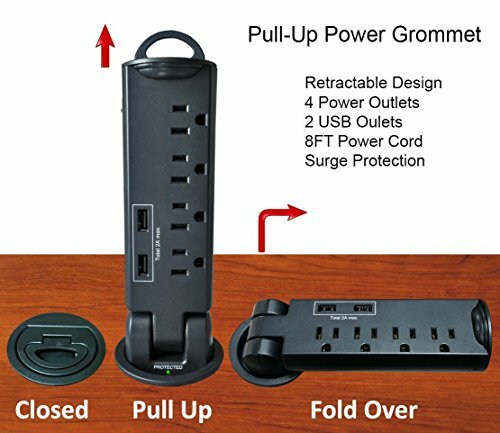 Well, this Pull-Up Desktop Power Strip let’s you have 4 outlets and 2 USB charging ports right on your desk. And when you don’t need them anymore, it even slides back down flush with the desk to free up space for something else. How cool is that? All you have to do is cut a 2.5″ (about 10 cm) hole in a desk, table, or counter and slide the Pull-Up Desktop Power Strip in place. It’ll stay put just using the included shims if you don’t want to glue it down. 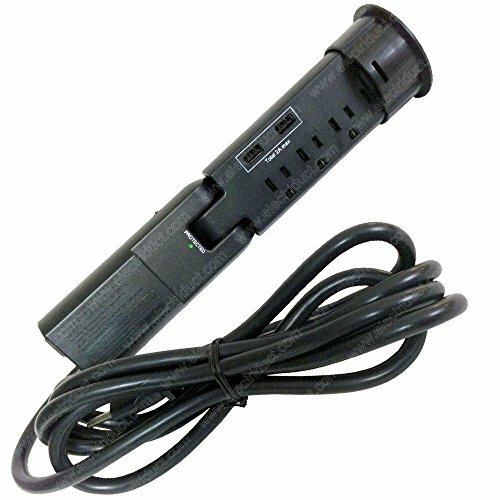 The 8′ (2.4 m) extension cord will make sure you can reach an available outlet easily. I installed one in the little stand next to the front door. It’s perfect for our cell phones, tablets, and fitness trackers. They’re right by the door when they are charging so we don’t forget them (as often) when we’re going somewhere. When we have visitors over, there’s no problem with getting rid of the power strip. All we have to do is stow the adapters in a drawer and slide the power strip back into its hole. It’s quick, easy, and convenient. Dimensions: 3.5 x 4.5 x 16 inches. Offers 4 standard power outlets and 2 USB charging ports. 3-Line Surge Protection (2100 Joules).